Discussion in 'Speakers & Subwoofers' started by eddified, Feb 11, 2019. ... and I noticed that over the last 2 years, the average selling price (on Amazon) has been dropping for these. I've noticed this trend for the Polk speakers, but the Klipsch speakers I checked did not have a price decline such as this. Does anyone know why the Polk speakers have been declining in price? Is it because the market has gradually realized the speakers aren't worth their initial prices? Is there something going on at Polk that may have affected these prices? Any ideas? Are you in the market for speakers? Why are you worrying so much about price trend? Yes, my concern stems from the fact that I was considering buying some of these speakers, but now I'm starting to wonder if the Polk Brand is going downhill... ? Or is there a more positive or more benign reason why the average sales prices are declining? So yes, I ask this as prospective Polk customer. Are you buying them as an investment? If not, and you like them, I suggest buying the model(s) you like and forget about why prices are changing. You're gonna end up stressing over nothing. But I own Polks (RTi6s in the front, RTi$s for surrounds, and a CSi5 for a center channel. My HT is in a 12x18x9 foot LR with two walls wide open into other rooms. And I've got an SVS PB-1000 for my subwoofer. I love the Polks. 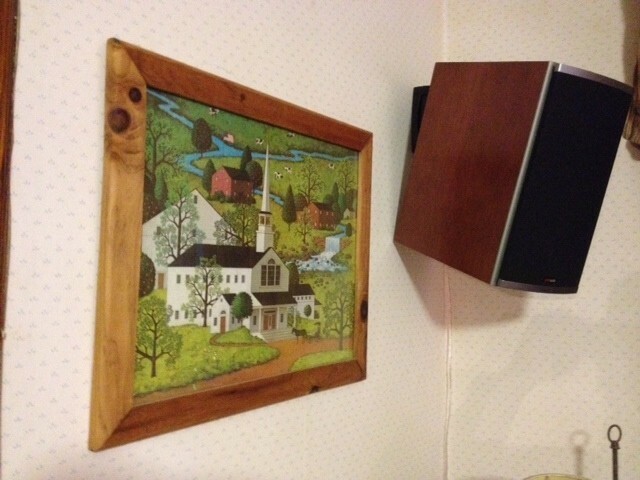 I have them wall-mounted (except the CSi5) and they fill the room with clear, warm sound. for a budget-minded enthusiast like myself they were an excellent purchase. I purchased mine from the Polk Storefront on eBay. Great deals. Todd Erwin, MielR, eddified and 1 other person like this. I don't personally own any yet, but I have built my parents' home theater with Polk mains and subwoofer, and it all sounds great. I almost got a Polk sub when I upgraded last year, but decided to try an SVS (they had a good sale at the time), which has also been very nice. I'm thinking about upgrading my front main speakers this year. Polk will definitely be in the mix. @Mike Frezon ... I appreciate the pictures. I believe I have the exact same rug, haha. What is meant by "LR" in this sentence: "My HT is in a 12x18x9 foot LR with two walls wide open into other rooms." ? I have Polks in my living room 7.1 HT setup: A pair of TSi100 bookshelf speakers as my Left/Right fronts, a TSi CS10 center channel, and 4 Blackstone TL2 satellites for surrounds. I was going to place a Polk PSW111 subwoofer, but it was not powerful enough for the size of the room, so I swapped it with an OSD PS10 sub (which I reviewed here) and moved the PSW111 to my office (where I have a 5.1.2 system using Energy Connoisseur speakers). Very few ever get to watch a movie in my office, but nearly every other Saturday is movie night at the Erwin Household, and our friends always ask to hold the big blockbusters for when it's our turn to host in our living room. What surprised me the most was how good those little TL2's sound for the money (although, to be honest, I got them as an accommodation, i.e. well below even employee discount, before I left my job at Best Buy). Malcolm R and eddified like this. I am in the process of upgrading my circa 2000 5.1 system. I saw Polk TL2s on Woot for $39 each. I ordered 4 for the atmos ceiling effects, and then 2 more to upgrade my rear surrounds. I will limp along on my old Polk mains and center and the Klipsch KSW200 for a while. What configuration are you upgrading to? The way the room is setup (living room with kitchen behind it) I can't go 7.1.4. I have no place that would work for the rear surrounds. The kitchen, facing the tv has cabinets with a 3 foot gap between bottom of upper cabinets and the ledge/raised bar that backs the stove and lower cabinets. So I can watch tv while cooking. The sofa is just the other side of the counters, so there is no place to feasibly mount rear surrounds. There is 10 feet from sofa to tv. I figure I will mount 4 down firing TL2s, 2 a foot+ forward from the sofa and 2 a foot+ forward from the tv/entertainment system area. I will also replace the surrounds with TL2s. Those are mounted near ceiling and firing down at an angle towards the sofa on both sides. 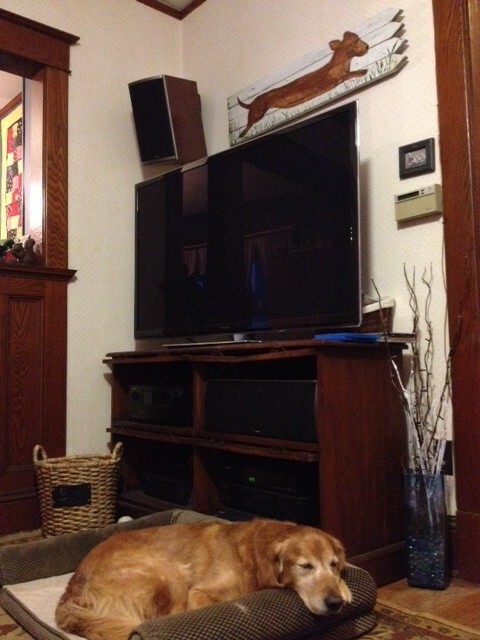 If you can, I would try and move those surrounds further away from the ceiling and closer to ear level. Just a suggestion, since you are using the same speakers for heights. That is a good point, at its feasible. I would say over the years the build quality of some polk speakers has gotten cheaper, my polk RTi 28's are much beefier compared to the RTI 4's for instance. My entire system except for my sub is Polk and I love the sound of them. 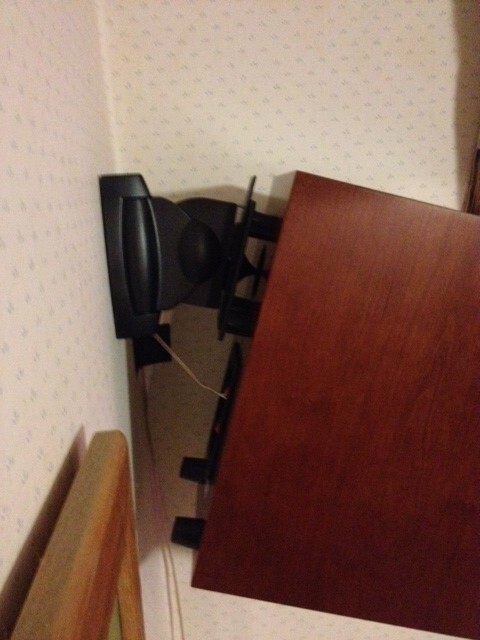 FWIW, I've had Polk Monitors in my (non-dedicated) living room and bedroom systems for several years. They seem perfectly fine for the price, though nothing notable about them. A few months ago I decided to try some (similarly priced) ELAC Debut 2.0 speakers, and there's simply no comparison, especially with music. I just have to wonder if the ELAC Deput line, which is clearly targeted to the Polk line price range, is forcing them to lower their prices. They've really made a splash and are getting a lot of attention. I'm still sticking with my PolkAudio S6 and CS150... even in this digital surround age.